Fresh off the quiet box-office success of his 2017 Julia Roberts vehicle Wonder, director Stephen Chbosky has lined up his next project: A biopic centered on Theodor Geisel, a.k.a. beloved children’s author Dr. Seuss. According to Deadline, Chbosky has become attached to the project alongside producer Carla Hacken and writers Jonathan Stewart and Eyal Podell. The film will follow the struggles of Geisel’s early career, and the ways he was inspired by his wife, Helen Palmer, to create some of the most popular characters of 20th century children’s literature. Chbosky et. al. have a trickier path to walk here than it might initially seem, though, in terms of telling the full story of Geisel’s life and work. 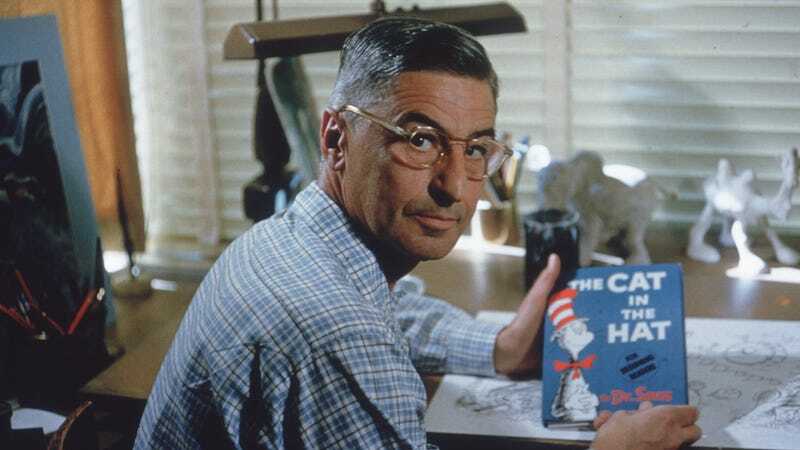 Although he’s largely remembered as a bestselling and beloved author, Seuss’ legacy has been the subject of scrutiny at various points over the years: Last year, a rejected donation of the author’s books from Melania Trump to a Massachusetts school reignited a conversation about racist imagery and language in his early works, including anti-Japanese propaganda cartoons he drew during World War II. There have also been accusations from authors like Phillip Nel (Was The Cat In The Hat Black?) that some of his characters, like the famous Cat, evoke tropes and imagery derived from minstrel shows. A complete portrait of Seuss’ life would presumably have to take at least some of this controversy into account, although it remains to be seen what Chbosky—whose other credits include Jericho and The Perks Of Being A Wallflower—will ultimately do with those less-inspirational-biopic-friendly aspects of his subject’s life.